CDC « They Said What? If you listen to the Centers for Disease Control and Prevention (CDC), you would think chronic disease is the main health problem we face, and workplace wellness is the main weapon we have to face it with. I know what you’re thinking (at least for the former): isn’t it? Nope. The country’s main health problem — at least among those addressable by the CDC as opposed to by Congress — is something else altogether, essentially the opposite of what the Wellness Ignorati say it is. But before we reveal the answer, let’s review the CDC’s chronic disease talking points, which naturally are hilarious, as most talking points in support of wellness tend to be. First, in the screenshot below, they quote the “arresting” statistic that “7 out of 10 deaths are due to chronic disease.” Um, that is called civilization, folks. Countries where 7 out of 10 deaths are due to causes other than chronic disease would love to have this arresting statistic. In case anyone doesn’t believe that the CDC — or indeed, that any human being other than a wellness vendor — could possibly be so stupid as to think civilization is a problem that needs solving, here is the screenshot, and here is the link. Second, they recently bumped the “75% of costs are due to chronic disease” urban legend in the first line of the screenshot to a mind-boggling 86%. Surely even the dumbest CDC employee can’t believe this. Surely they can back-of-the-envelope an estimate that birth events, preventive care, and trauma alone account for much more than 14% of spending. 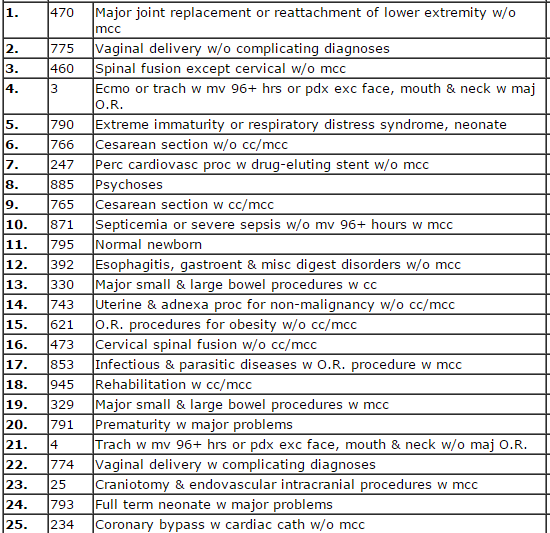 Birth events by themselves account for about 16% of all hospital discharges. This would all be very amusing, as the CDC and wellness vendors converge on these two statistics like monarch butterflies of innumeracy, except that our health is stake. And that (finally) brings me to the title of this posting. The Maginot Line, as you might recall, proved about as worthless combating the Nazis as the CDC’s wellness obsession is today in combating the real healthcare problem: a massive explosion in blood-borne infections, or septicemia. 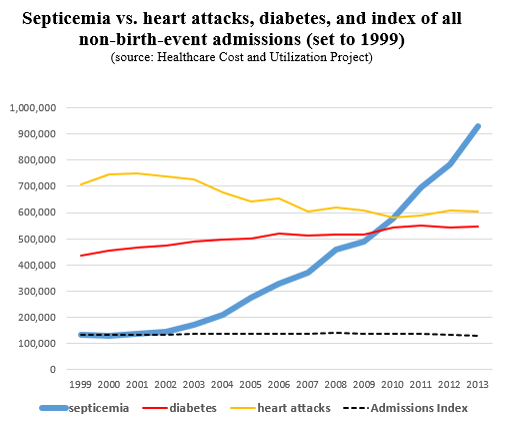 While the CDC, wellness vendors, and of course the Health Enhancement Research Organization are all atwitter about diabetes and heart attacks (which none of these people can prevent and whose admissions in combination have been in check in all subpopulations for many years), consider ICD-9 038.9, Septicemia. There were 928,000 inpatient cases in 2013, the last year available. …and its growth is accelerating? More importantly, why doesn’t anyone at the CDC seem to care about pathogens? This is what they are supposed to do–identify pathogens and prevent, contain or eradicate them. Literally anyone (almost 1 in 300 people annually) could get a cut or injury or infection in the hospital, get septicemia, and, 13% of the time, die. Yet the CDC is blissfully unaware of this. If you’ve heard this “blissfully unaware” song before, the CDC’s Wellness Watchdogs also completely missed the workplace opioid epidemic. That happened right under their noses. The drugs were legal, prescriptions were filled, and PBMs paid for them. Where was the CDC when this was happening? The same place the wellness industry was: nowhere. Most health risk assessments queried about illegal drug use and alcohol, but abuse of legal opioids? Off the table. We can’t let the CDC overlook this epidemic too, due to their singularly misguided wellness obsession. We need to embarrass them into action–please send this note around to as many people as possible. And if you’re wondering how the CDC (with the very notable exception of NIOSH!) has dumbed down so fast, so was I. These were, after all, the people who rid the US of malaria and rid the world of smallpox. So I did a little search on their site. Additionally, the references the CDC relied upon should look familiar. Besides being comprised of the usual serial liars, serial cheaters, and serial idiots, the list of references ends with Katherine Baicker, truly the Typhoid Mary of the workplace wellness epidemic–and hence one of the people most responsible for advising the CDC to create the Maginot Line that failed to prevent or event identify the opioid and bacteria epidemics that have taken millions more lives than workplace wellness has ever saved. By the way, while you were reading this and the links, 6 to 12 more people (depending on how fast you read) just contracted a hospital-acquired infection, with probably 1 or 2 people dying from it. To put that in perspective, the comparable statistics for wellness would be that 6 to 12 vendors just lied to their prospects, with 1 or 2 prospects believing them. The Centers for Disease Control and Prevention (CDC) rid this country of malaria, and do you even know anybody with smallpox or polio? For trivia buffs, here is a brief history about them. When they do epidemiology, they do it very well, better than anyone else on earth. Likewise, their National Institute for Occupational Safety and Health (NIOSH) has been a major contributor to the dramatically lower number of occupational fatalities in the US. When NIOSH was founded in 1970, there were about 14,000 fatal work-related injuries per year. In 2014, with a workforce nearly twice as large, there were 4,679 — still 4,769 too many, but significant progress nonetheless. Newsflash: You can’t fit 20% of kids into 5 percentiles no matter how much they weigh. In each case, we kinda know what they meant. But they didn’t actually say what they meant. 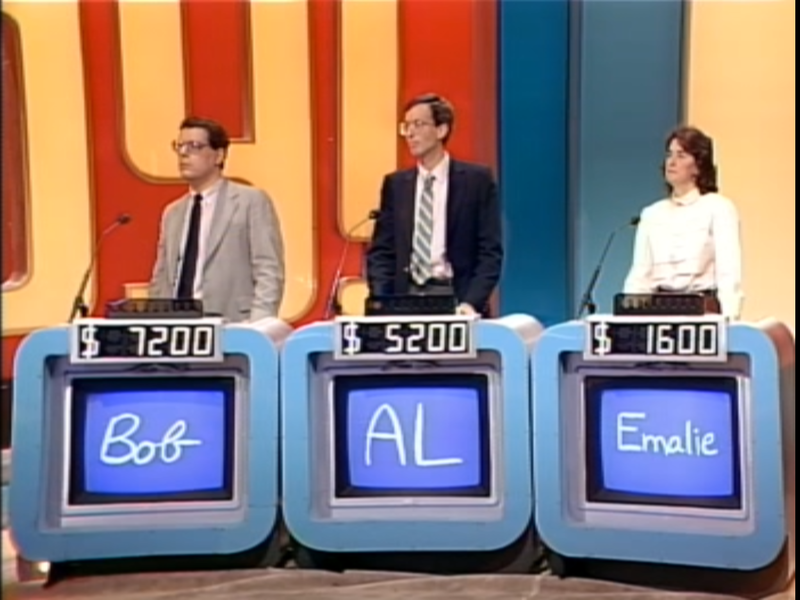 And I can tell you from my experience on Jeopardy that if you don’t say what you intend to say, Alex will take away your money. Not saying what you intended to say means what you did say is wrong, no matter how big you write your name. And now, they’ve done the exact same thing for chronic disease…except that I really can’t figure out what they mean. “86% of healthcare spending is on people with chronic disease.” Even at 75%, this was already the#1 urban legend in all of healthcare. But 86%? Seriously? $6 out of every $7? Take out birth events, and it’s more like $11 out of every $12. Take out trauma, primary care, gynecology, imaging, sports injuries, and you’re already in mathematically impossible territory. Wellness industry executives never miss an opportunity to misinterpret a statistic they don’t understand, and the CDC is just begging to have wellness vendors misinterpret this as “Chronic disease now accounts for 86% of healthcare spending” — and push employers into more prying, poking and prodding. Of course, what they should be doing instead, based on the list of costly admissions below, is exactly what Quizzify proposes: educating employees on how to avoid harms of overtreatment, rather than pushing them into the treatment trap. Funny thing, for an industry so behind the times that they still urge guys to get PSA tests (and fire them if they don’t, in one case we’ll be posting soon), wellness vendors didn’t let a minute go by before misinterpreting the CDC statistic, as we predicted. Here is Concentra, saying: “Chronic disease accounted for 86% of healthcare spending,” and if you read down, proposing more prying, poking and prodding. 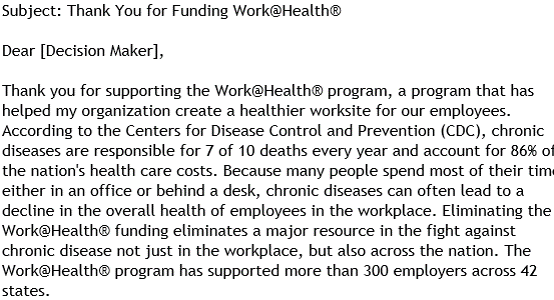 We hate to pour coffee on the wellness industry’s invalidity bender here, but someone has to provide actual facts, since the CDC seems to fear them as much as wellness vendors do. We’ve already posted the top 25 inpatient DRGs in the country for employees, both by frequency and by cost, and we’re posting them again below. As you can see, none of those conditions accounting for “more than 86% of health care spending” — nor any of their common complications — show up on this list. Instead, the overlap with anything that can be avoided with pry, poke and prod programs is almost zero. Even randomly, you’d expect more of an overlap, let alone if 86% of cost is due to things that 3-P programs address. Who Are You Going to Believe, the CDC or Your Own Eyes? As we’ve mentioned on multiple occasions, this list is populated with things no one can do anything about, as well as things addressed by Quizzify. Feed your population all the broccoli they can eat, and make them wear fitbits 24-7. You won’t prevent a single one of those DRGs.